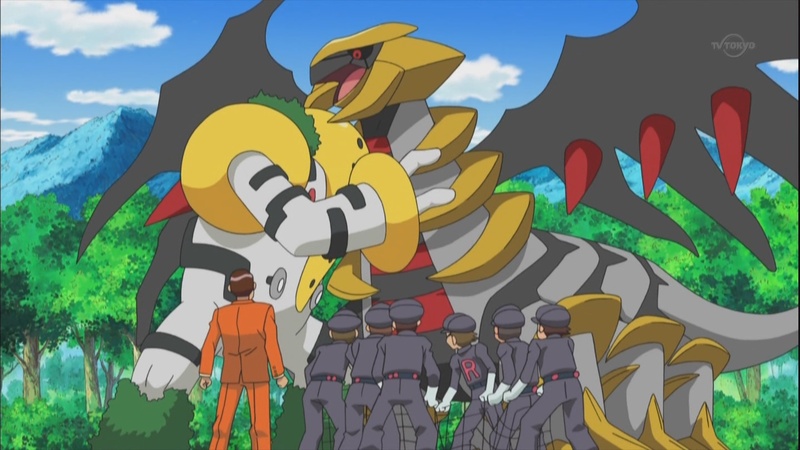 One of the cards that I would really like to work with in the coming weeks before Regional Championships is Regigigas EX, one of the forgotten EX’s from the first set with the current EX’s, Next Destinies. I played Regigigas EX at states last year in my Celebi Prime/Mewtwo EX deck at all three weekends of states to good success. The card was amazing in taking easy prizes on opponent’s support Pokemon, and created an awkward wall that your opponent’s heavy hitters (in particular Mewtwo EX) had to work around. If they swung into it, it could often lead to devastating results as you swung back even harder with Raging Hammers, probably scoring a OHKO on their EX Pokemon. 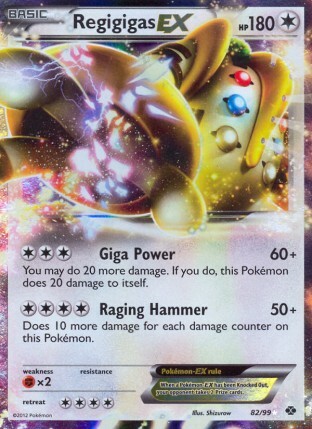 Just to review who Regigas EX is, it is a 180 HP Colorless Pokemon with a Fighting Weakness, and a four retreat cost Its first attack, Giga Power, costs CCC and does 60 damage, plus 20 more damage at the cost of doing 20 damage to yourself. Its second attack, Raging Hammer, costs CCCC and does 50 damage plus 10 more damage for each damage counter on Regigigas EX. As Regigigas EX is a colorless Pokemon, it can take advantage of Aspertia City Gym, giving it 200 HP, and an effective 220 HP if it has an Eviolite attached, which is amazing. 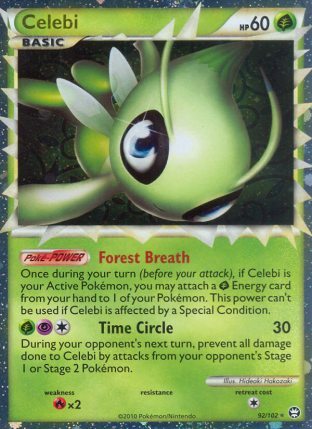 This makes the card extremely difficult for a lot of Pokemon in the meta game to navigate around. The card is especially great in the Keldeo EX/Blastoise matchup. In the early game, it can take cheap prizes on your opponent’s Squirtle. As soon as your opponent hits into it with a Secret Sword attack, it can take the OHKO on your opponent’s Blastoise to shut down their Ability to Deluge. The way that I see Regigigas EX best being used is in conjunction with Darkrai EX, as Darkrai EX would both help with Regigigas EX’s retreat cost giving it free retreat with Dark Cloak, as well as give it some potential energy acceleration with Dark Patch and Energy Switch. 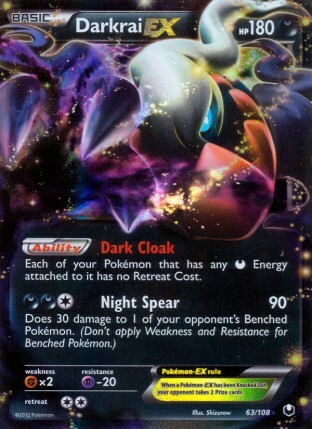 As both Darkrai EX and Regigigas EX are weak to fighting, I would probably look to include Tornadus EX as well to help deal with the Fighting matchup. I really like the idea of potentially being able to get a turn one Giga Power with this deck using Dark Patch and Energy Switch, similar to the turn one Gigas Power that was possible in CMT decks. It would be really strong in this format for getting the turn one knockout on Squirtle, Deino, Sableye, Tynamo, and Emolga. The one thing I really don’t like about this list is all of the hammers I need to play in the deck, they take up 5 spots! That could be a fourth Energy Switch, another Supporter, and three Potion, all of which I think would be better in this deck. Alternatively, some split of Eviolite and Potion. This guy is starting to annoy me now! The reason that I am l including these hammers in the deck is for one matchup, the Quad Sigilyph matchup. I just don’t see a much better strategy for countering that deck, except to hammer them into oblivion, and then use Gold Breaker against their energy lacking field. Perhaps there is a better strategy for dealing with this deck with this type of big basics deck, but I’m not sure what it would be because of the lack of good Dark or Colorless Basic Pokemon that can deal with Sigilyph. I’m not comfortable just forfeiting this matchup heading into Regionals, as I see it being a fairly popular deck at Regionals, as it shares two factors that a lot of players will enjoy: 1. It is cheap to build and 2. It can piss off their opponent, similar to Durant (while being fairly simple to play). This list above is going to be my starting point for using Regigigas EX in the current format. Hopefully it will come back with some good results, and I hope I will be able to figure out a better way to beat Quad Sigilyph other than just using the hammertime strategy. I think there is a solid shot at Regigigas EX turning out to be good enough to wind up in whatever deck I play for Regional Championships, but first I will need to put it through the testing lab to see if it lives up to my hype. I’m so glad you brought up the comparison between Quad Sigilyph and Durant! I see a lot of the less serious/less skilled players using it for the reasons you stated. It really is something to consider when selecting a deck for an event! Ugh. Sigilyph. I wish that card would just go die in a hole. One of the most annoying things about Quad Sig is when they include 3-4 Eviolite, Tool scrapper is really good agianst it. 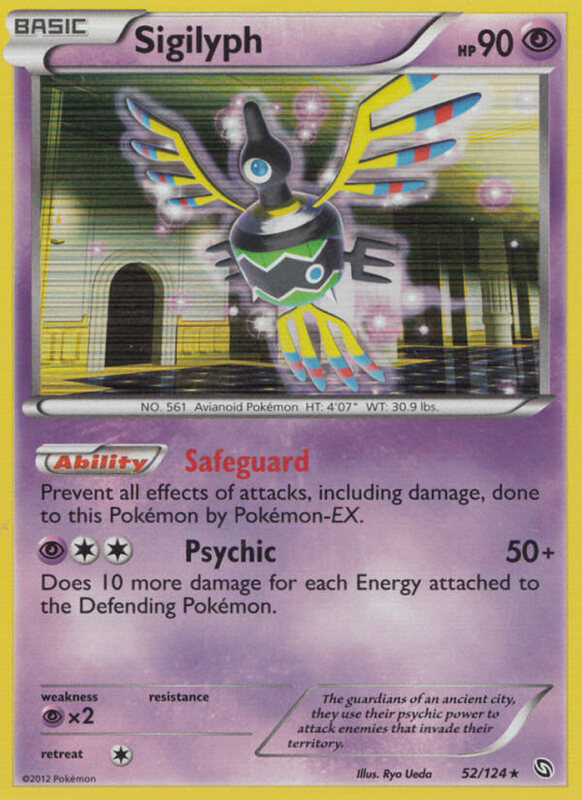 Tornadus EPO is also something to consider, it can also give you that 80 damage first turn donk you want, and with a Plus power can 1HKO a Sig. You could drop the Crushing hammers and a Darkness energy for. x1 Tornadus EPO, and 3 Plus Power. Plus power is also nice on a Bouffalant to 1hko a Sableye or Emolga. Rather than hammers, why not try more Bouff and/or the Revenge Bouf from BW? Not a perfect Siggy counter, but does use DCE and Aspertia. You could also try and fit a few Psychics and a Meloetta. I have been testing a version of this deck without hammers, Tornadus EPO with PlusPower has been a great Sig counter, and is also a great attacker for first turn, if you can get the T1 DCE+Dark Patch Energy switch onto him for that 80 damage, while at the same time moving the energy back to Darkrai at the end of your turn to have him attack next turn. I bet you could drop an Enhanced Hammer and still be able to deal with Sigilyph, giving you a 4th Energy Switch. I also bet a Revive would do the same job that Super Rod is doing in most cases.